Information on how to participate and claim HYPOXI sessions form part of these conditions. By submitting a referral or registration form, you (the participant) agree to be bound by these terms and conditions. The promoter is Hypoxi Australia Pty Limited (ABN 66 114 194 277), trading as HYPOXI Australia (HYPOXI Australia) of 7 Blackfriars Street, Chippendale 2008. The promotional period begins Monday, 2nd May 2016 at 9.00am AEST and closes Friday 5th June at 5.00pm AEST (Promotional Period). All Australian residents over the age of 18 years may participate in the Promotion during the Promotional Period, excluding any employee or contractor (and their immediate families) of HYPOXI Australia and its related entities. You must satisfy the requirements below in order to validly participate in the Promotion. HYPOXI Australia reserves the right to disqualify a participant for any reason. Without limiting this right, participants may be disqualified where a referral or registration form is incomplete or where HYPOXI Australia, in its absolute discretion, determines that the participant has not complied with these terms and conditions. Refer at least one friend, family member or colleague who is not an existing or former client of Hypoxi Australia (Friend) by providing all mandatory contact details for each Friend in the Referral Form. Contact details must be valid in order for Referral Form to be accepted. Upon submitting a valid Referral Form, Referrers will be eligible to receive one complimentary HYPOXI session for their personal use at one participating HYPOXI studio and each Friend that has been validly referred through the referral form will receive an email from HYPOXI Australia entitling the Friend to redeem one complimentary HYPOXI session at one participating HYPOXI studio. Have received an email from HYPOXI Australia as a result of a valid referral from a Referrer. Each Friend must follow all instructions in the initial referral email received from HYPOXI Australia, complete and submit the additional registration form on the HYPOXI Australia website within the Promotional Period, print the voucher subsequently emailed from HYPOXI Australia and present it in the studio nominated in the registration form. Complimentary HYPOXI session(s) must be redeemed by a Referrer or Friend in studio on or before 5 September 2016, after which time the session(s) shall expire. A Referrer may choose to complete multiple Referral Forms and refer multiple Friends, however the Referrer shall only be entitled to one complimentary HYPOXI session regardless of the number of Referral Forms completed or Friends referred. Friends are only able to claim one complimentary HYPOXI session regardless of how many times the Friend is referred. Referrers are not able to participate in this Promotion as Friends and Friends are not able to participate as Referrers. Any complimentary HYPOXI sessions redeemed as part of this Promotion cannot be used in conjunction with any other offer, and redemption by a Referrer or Friend automatically forfeits their right to claim the HYPOXI Australia ‘FREE TRIAL’ offer. The participating HYPOXI studios have the right to reject the redemption of the Referrer’s or Friend’s free session(s) if the studio, in its absolute discretion, forms the view that the complimentary HYPOXI session(s) has already been redeemed at that studio or another studio. Complimentary HYPOXI sessions are subject to booking availability, studio participation, and compliance with all standard terms and condition issues by HYPOXI Australia and/or the participating studio in respect of undertaking a HYPOXI session. Each complimentary HYPOXI session is redeemable only once, is not exchangeable and cannot be redeemed for cash. Each complimentary HYPOXI session must be taken as provided and no variations can be made. 20 minutes of treatment on HYPOXI Dermology Comfort. 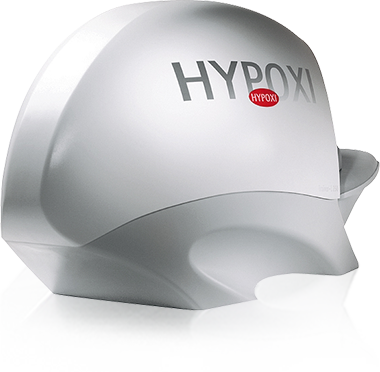 In the case of the intervention of any outside agent or event which affects, prevents or hinders the conduct of this Promotion, including but not limited to regulatory intervention, computer failure or manipulation of the Promotion HYPOXI Australia may, in its absolute discretion, cancel the Promotion. By participating in this Promotion, each participant consents to the collection of their personal information by or on behalf of HYPOXI Australia. The personal information of each participant may be provided to others assisting in the conduct of the Promotion, including the promotion administrator, HYPOXI studio operators, and to regulatory authorities. If a participant does not provide accurate personal information, HYPOXI Australia may determine that they are not eligible to redeem their complimentary HYPOXI sessions. Any complaint regarding a breach of the Australian Privacy Principles should be addressed to HYPOXI Australia at the address above and will be investigated by an authorised officer. The complainant will be advised of the outcome of the investigation as soon as practicable.